Wedding Venue at Aberystwyth University01970 621960work Wedding Reception VenueAberystwyth University is centrally-placed within Wales with equal travel time from north and south, and ample free on-site parking - we are the perfect choice for your day. 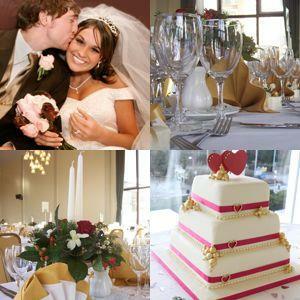 Aberystwyth University could be the ideal choice for your wedding reception. Our skilled catering team can produce magnificent banquets for up to 192 guests in our spacious Medrus room overlooking Aberystwyth and Cardigan Bay. For less formal events we also have an extensive range of mouthwatering buffets to choose from. During University vacations we can also supply or co-ordinate additional facilities such as exclusive bars and discos or overnight accommodation. We also have ample on-site parking. Aberystwyth University is centrally-placed within Wales with equal travel time from north and south, and ample free on-site parking - we are the perfect choice for your day. Our Conference co-ordinators can organise the whole event for you so you don't have to worry. Come and see our newly refurbished suite of rooms. 1 mile from train station, regular buses available.